SylvanSport has developed a lightweight camping trailer that reflects the quality, design and spirit of the world’s finest outdoor equipment. GO is outdoor gear. Obsession with quality is evident in everything from GO’s custom-engineered, TIG-welded aluminum frame, to its Kelty-made tent system, to its comfy mattresses. GO will take you and your gear to your favorite adventure and provide a spacious and comfortable camping experience. Securely and easily bring along loads of bikes, kayaks or any combination of gear. 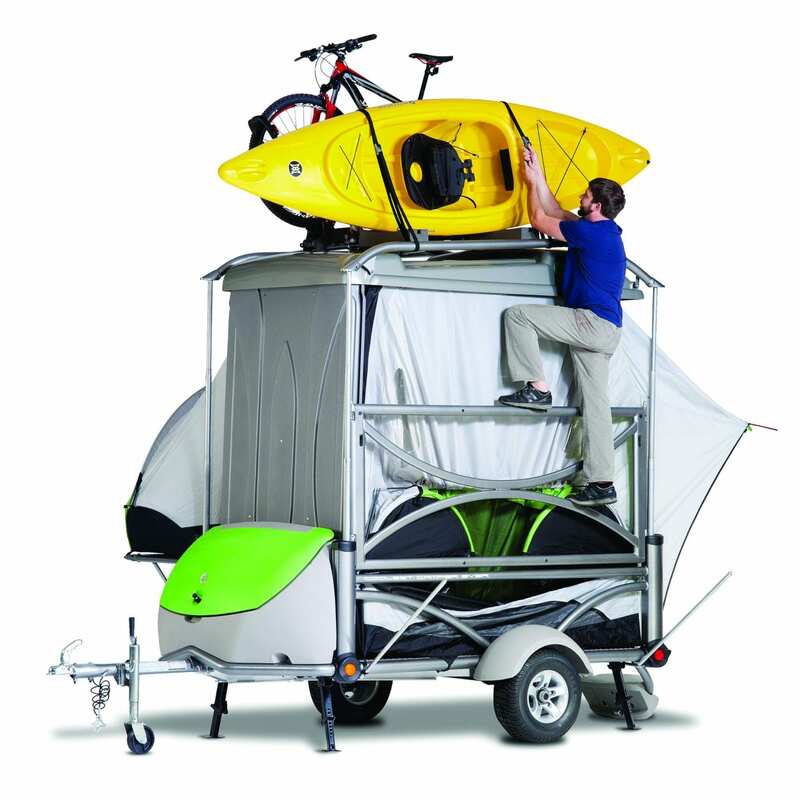 GO is more than a camping trailer, it’s the ultimate outdoor gear trailer!